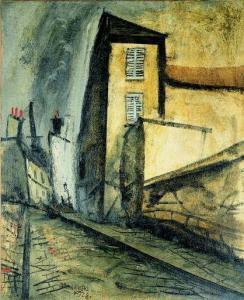 Yuzo Saeki, just like Van Gogh during his lifetime, experienced severe mental health problems during his final months on this earth. Therefore, this gifted artist from Japan died at the age of 30 because of multiple factors. This applies to having a nervous breakdown, tuberculosis that was eating away at his health, massive overwork, poverty, alienation from reality – and other factors that took away his life. In this sense, “At Eternity’s Gate” by Van Gogh connects these two extremely gifted individuals. After all, if you replace the image with a 30-year-old man in a room more sinister and frightening and coughing up blood; then an image into the last moments of Yuzo Saeki can be seen through the art piece by Van Gogh. 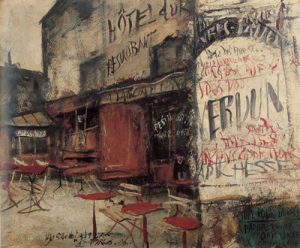 Equally disturbing is that Yuzo Saeki died in France where cultural differences in this period were enormous and when institutions were “more dark and foreboding” for people on the margins of society. 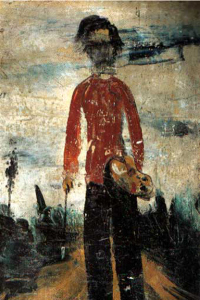 Therefore, Yuzo Saeki gradually slipped away from this world by being isolated, alienated, residing in destitution and with little care from others about his severe plight. In Japan, Yuzo Saeki had a family that was deeply concerned about the predicament he faced. However, his reality in the last few months must have been like Dante’s hell. Therefore, according to Michael Brenson, not even the death of Yuzo Saeki is one hundred percent known and this applies to what caused his death or if he killed himself. This fact brings back the image of “At Eternity’s Gate” but with the backdrop being more sinister and perhaps with Yuzo Saeki being shriveled up in the corner of a cold and dark room. After all, it appears that nobody in Paris really cared about how he died in the final moments of his life – and this is indeed sad. Also, the image of “At Eternity’s Gate” shows an individual in despair and Yuzo Saeki certainly felt the same pains and abandonment. Not only this, were the signs illegible in some of the artwork by Yuzo Saeki based on him feeling alienated, rejected, and because he feared about upsetting local people? Or was it a natural sign that he felt trapped between two worlds, a natural aspect of his art, the fact that he could feel “the gates of death” – or did it signify his growing inward feeling that he didn’t belong within the environment that he cherished? 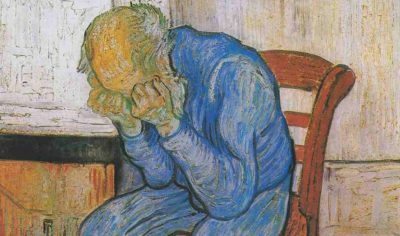 Van Gogh also had an intense struggle between religion and rejection in several areas of his life – this in itself led to emotional instability. 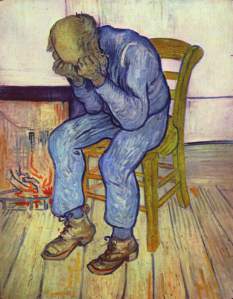 Given this, Van Gogh and Yuzo Saeki share internal convulsions because of different factors and both fully understood poverty, the strong feeling of alienation, rejection, and the darkness of asylum institutions that further eroded the soul. Some Japanese art and cultural articles by Modern Tokyo Times are republished because of our growing international readership.